Based on the popular game Tales of Zestiria, it's none other than Sorey! 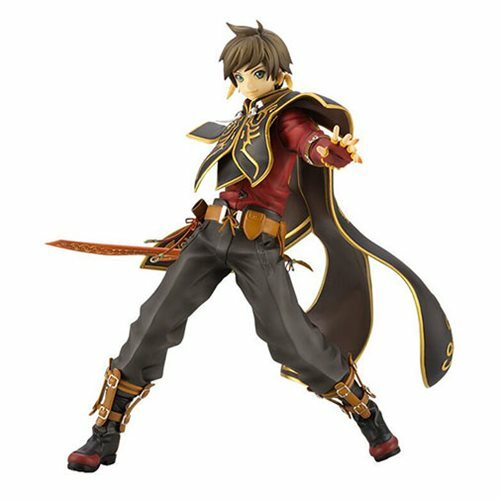 Kotobukiya's beautiful sculpting and attention to detail bring the Tales of Zestiria Sorey 1:8 Scale Alt. Color ARTFX J Statue to life, as if he stepped straight out of the game. All the fine details are present, from the decorations on his cloak to the folds, buckles, and straps on his boots. The Tales of Zestiria Sorey 1:8 Scale Alt. Color ARTFX J Statue stands 8-inches tall, ready to take on the Hyoma!